It doesn't matter how many times I see it, the CN Tower always impresses me. Viewing downtown Toronto from afar is equally as impressive. This photo of the Toronto skyline was taken from Centre Island using my iPhone. Our family was visiting Centreville Amusement Park as part of our Delta Chelsea Toronto experience last month and the kids and I had lots of fun on the rides and exploring the island. But this view... coo, wha' a sight! I'd like to go back on my own one day with my DSLR just so I can take more photos from different angles and viewpoints. It's just so pretty there. What a great place to take the picture from. Lovely! Great photo, I love the sunflowers in the foreground, cell phones do a great job for me too. Wonderful photos. I was at the top of the CN Tower about 12 years ago. It was the first time I saw a glass floor. Lovely picture, I like the view!! I guess for me, viewing any city from afar is better than seeing from the inside out. It is a beautiful view, too! Beautiful view! I haven't been to Toronto since high school and would like to return. Seeing the CN Tower never gets old for me either! So cool! That is so pretty. I love the flowers in the foreground to. Such a pretty view - thanks for sharing! That is one gorgeous view! I remember going to the island on a grade 7 class trip. As I now have a granddaughter, I think I am long overdue to enjoy the island and the Toronto skyline again! 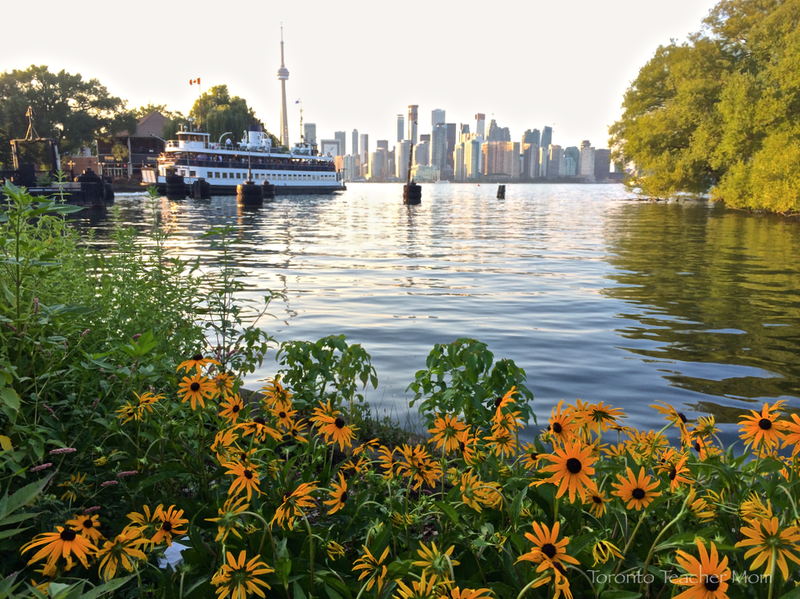 love the foreground, with fresh flowers ..would love to come and visit Toronto one day..
That photo is beautiful! You should frame it. That's really gorgeous. We haven't been to Centre Island in years but I remember the view from the ferry.